Do you know what you want to be when you grow up? The possibilities are endless. But, how do you find out about all of the different professions that are out there? Wigu Publishing has a wonderful series of books that will enlighten young readers about various jobs and the history that surrounds them. 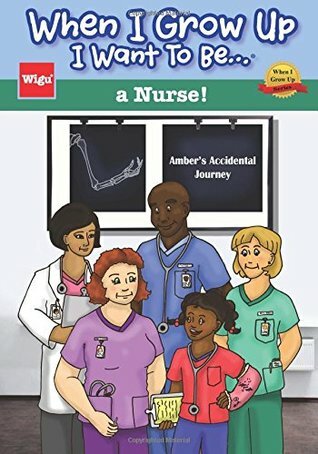 Readers will follow along with Amber to learn what nurses do. Amber reluctantly plays soccer with her friends. She gets hurt and has to visit the nurse. A nurse is someone who takes care of others. They can do physical exams, give medicine and perform wound care. A registered nurse, or RN, has a college degree and can work for hospitals, schools, private homes and doctors’ offices. Nurses can be men or women. Florence Nightingale was considered to be the founder of modern nursing and was born in 1820. She worked to improve the health of the poor and raised the standard of living. Parents, teachers and young readers will enjoy learning about nurses. The young character Amber, has lots of questions and receives answers from nurses she encounters. Young explorers will love reading and learning about nursing. Colorful illustrations along with photographs of nurses in action will help readers better understand the environment and terminology that they will see. Readers will learn about Vitals, X-Rays and more. This is an excellent series to add to any home or school library.